I missed last week. Husband got food poisoning and the nasty kind of consumed us. Luckily, he was the only one sick - especially since we had lunch together that day! Poor husband. The storm passed quickly, but recovery took a few days. I will admit that I enjoyed having him home so I could galavant around during nap time. Wade went with me to get Husband some gatorade and he had to carry one around and tell the whole store the it was "big" and "heavy." 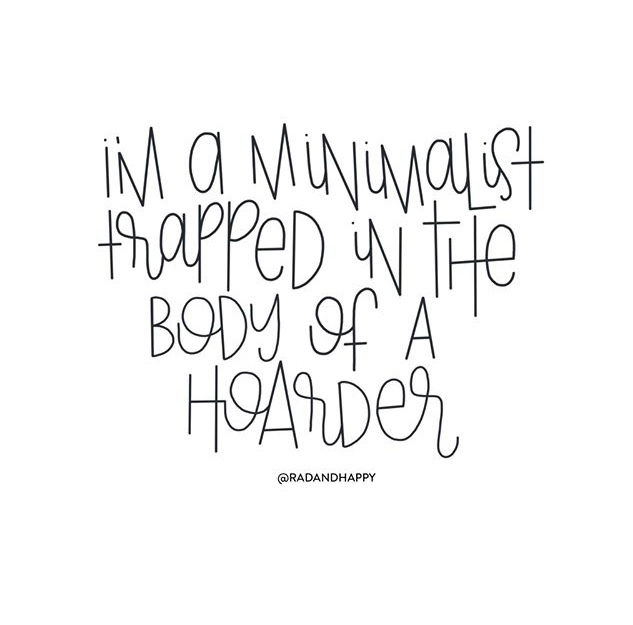 I've never seen a quote that embodies me so well. Stella has been banished from our bed cause she kept growling at us when we moved at night. The worst was when she'd steal my spot while I fed babies then she'd growl at me when I came back. Stinker. Blake is full on crawling. She wants me at all times and crawls behind me all day. She also like to climb. If I'm sitting she's crawling over me and trying to stand on my arm. 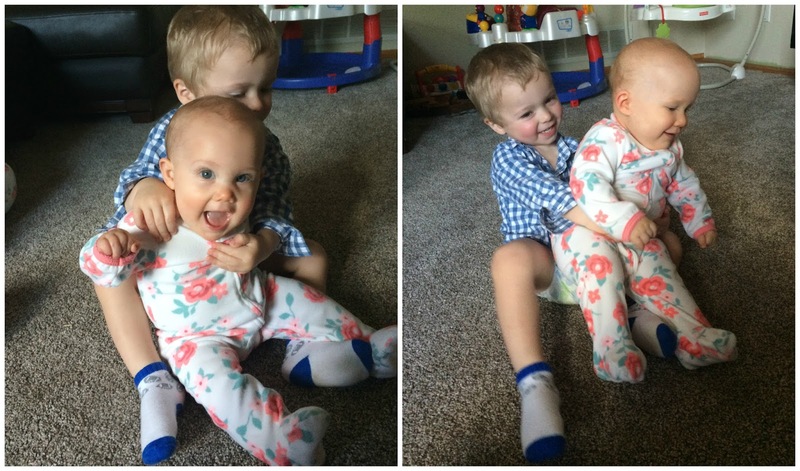 I'm continuously rescuing Jacqueline from Blake climbing all over. 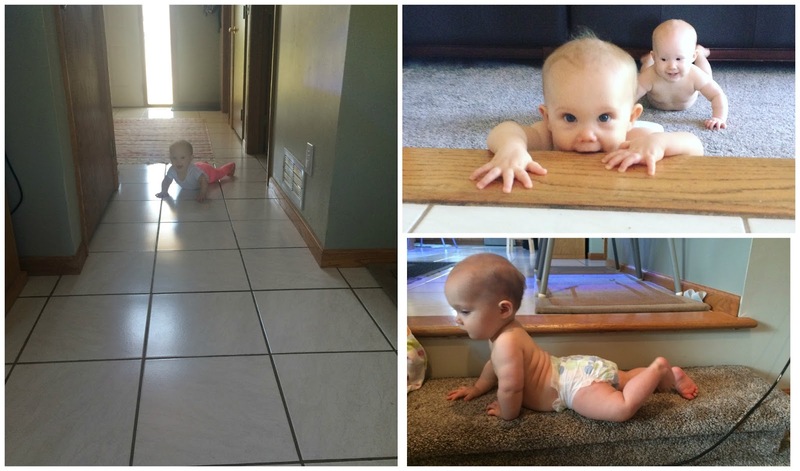 I also put pillows around the room for her to climb over - baby obstacle course. Also, she has four teeth. She's so busy that she will only nurse when she's dead tired and in the nursery, so I've started pumping to see if she'll take a bottle. 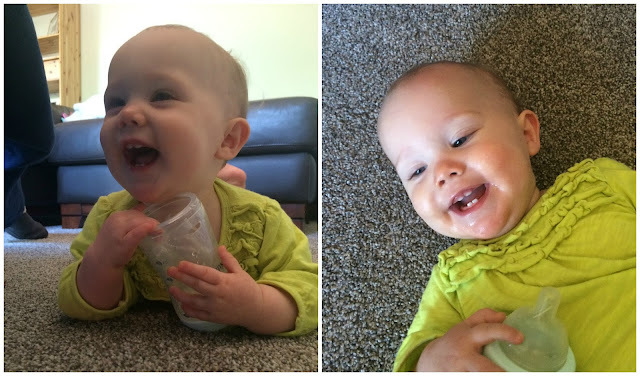 She loves it, but hasn't figured out how to do it correctly - she just lets the milk drip into her mouth. Whatever works. Jac got jealous and wanted a bottle too, she figured it out immediately - of course. Jacqueline's life continued to revolve around food. She has to eat with her hands, even when I'm feeding her. Blake can eat without a bib just fine...the pig cannot. She scream/sings at me for more food. It's adorable. And annoying. 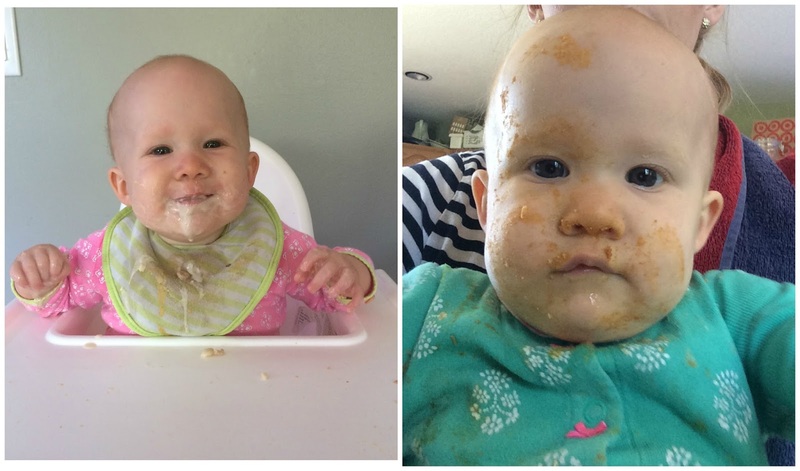 Both girls can eat what we eat - pasta, toast, pancakes, cheese, cooked veggies, eggs. The other morning I used 8 eggs to feed out little family of 5 and it wasn't enough! Wade figured out how to open the fridge. Wade has become interested in trucks, planes, tractors, cars - all machines! I find myself thinking of my cousin, Kris, and how I'll have to learn what exactly that "big yellow" is called (I think it was a backhoe?). 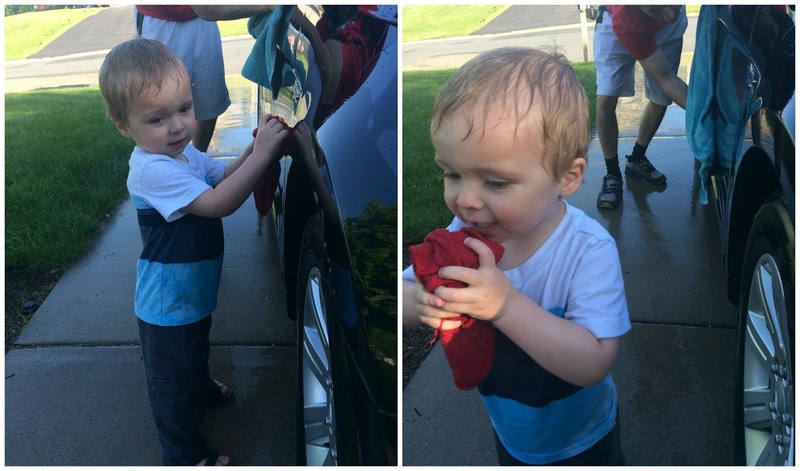 Tonight we washed out cars and he was overjoyed being able to play with the car AND water AND bubbles. He washed my lights and "icky" wheels. He's been talking tons. Walks are my favorite, he jabbers the entire time. Ongoing monologue of a two year old. New words get added to his vocabulary daily and he enjoys using the correct word. He also loves to sing songs and you can make out him singing the actual words! He sang (parts) of I am a Child of God with me tonight as I put him to bed, it was beautiful. Last week I was sitting on the floor playing with my hair. Playing with my hair always includes a pile of hair that I roll into a hairball to throw away. I asked Wade to throw it away for me because I'm lazy and he loves everything to be "wade turn." He looked at it and said "Ewwww. No. icky. Mommy turn." Yesterday I went to Goodwill and the cashier commented on how well my kids were and that my husband and I are obviously doing something right. How flattering?! Then she went on to say that every time I come in she's so impressed - every time I come in? Haha, maybe I need to visit a different Goodwill for a while. And the girls turned 36 weeks + 2 days - the same amount of time I was pregnant with them! I posted some pictures here.